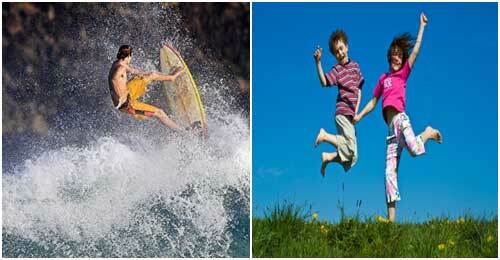 Photography Basics – What is shutter speed? Shutter Speed is one the three pillars of photography (among Aperture, Shutter and ISO), which controls the amount of exposure or light in the image. Shutter primarily controls the exposure time, i.e. the time for which the image sensor is exposed to the incoming light. Refer to the yellow circle in the image of the camera above. This is the mirror, which is in between the light coming from the lens and the sensor (which is behind it). When we press the button to click the image, this mirror goes up and come back to the original position. The light entering through the lens falls on the sensor for the duration when the mirror is up. This flipping system is called shutter and the speed at which it flips is called the shutter speed. However, this system is different in some of the latest technologies such as Single Lens Translucent (SLT) and Mirrorless cameras. But, we will keep our discussion focused to not digital or D-SLR cameras, in which we have option to change or control the shutter speed (general using Tv or S modes). 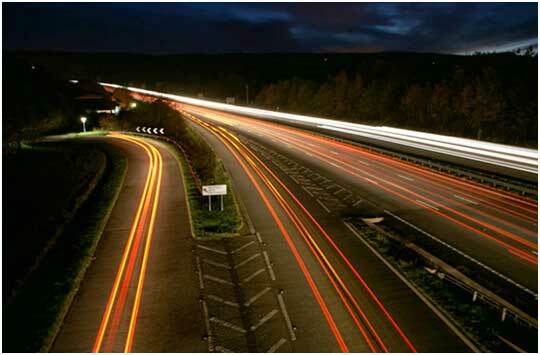 D-SLRs generally support only 30 sec of shutter speed. To further decrease the shutter speed, you need to select "bulb" mode, where you can keep the shutter open for any duration of time. This mode is available when you select the "Manual mode" in your equipment. 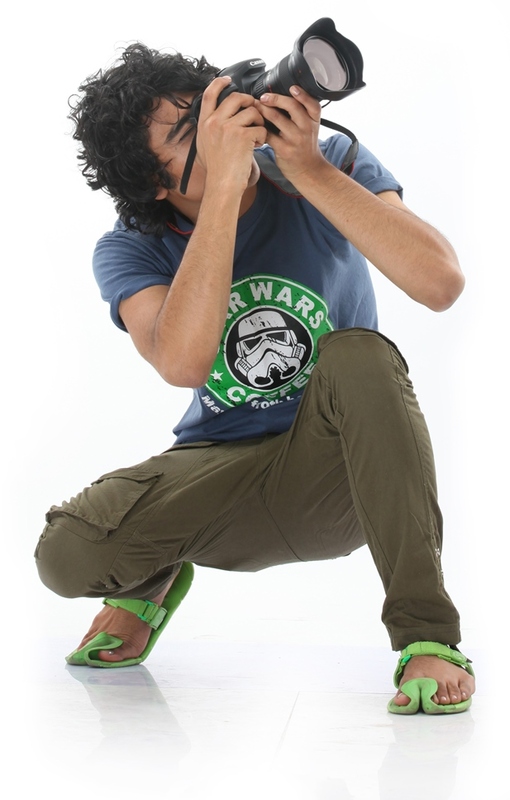 Now, keep decreasing the shutter speed. After reaching 30sec, it will start showing "bulb". 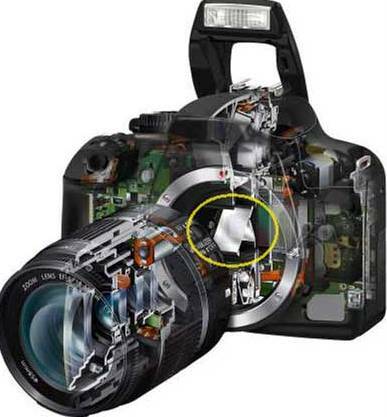 In this mode, the shutter will remain open as long as the shutter button is pressed. You will need a remote release to use it effectively. The thumb rule is that, your shutter speed must be equal to 1/focal length in seconds on full frame to get stable images. So, at 50mm, you shutter speed should be at least 1/50secs. For APS-C cameras keep it 1/FL x 1.6. So at 50mm, use at least 1/(50 x 1.6) = 1/80secs handheld to get sharp pictures. However, when we use image stabilization function of the lens, we can use 2 to 3 f-stops slower shutter speeds. For e.g., using image stabilization function an ideal handheld shutter speed of 1/125 secs can be decreased to 1/30 secs without affecting the image quality. 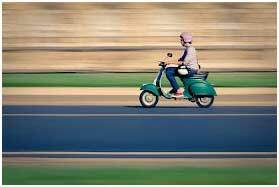 Panning: Panning helps in showing the movement in the scene. But it needs lots and lots of practice to get a perfect shot. Consider a moving object, like the man on vehicle in the image below. Now, keep your shutter speed low (around 0.5 sec to 1 sec, but test it based on the situation) and move your camera along with the subject. This will keep the subject fixed w.r.t camera, however, all the other part of the scene would become stretched lines, giving the sense of movement. Try doing it using tripod or handheld, but be sure that you would need lot of practice to do it. Zoom in – zoom out: This is again a slow shutter speed technique. You need a zoom lens for it. Keep shutter speed low (around 1 sec), install your camera on a tripod and move the zoom ring after pressing the button to click. You will get something like shown in the image below. This is a zoom out image, where the focal length has been decreased. You can try the opposite also. Take care, not to move camera too much in order to get the sharp image. Light painting: Light Painting is done with very slow shutter speeds, ideally in "bulb" mode. Find a place which is pitch dark. It can be your room also. Arrange a light source such as torch (or anything else). Press the button of the D-SLR and go in front of it. Now, start moving the torch point it towards the camera. Camera will register the movement of the torch, so if you make any image in air, it will be registered in the image. Similarly, you can use this technique to paint a place with different colors of light. The images below are taken using the same technique. Be sure, that even if you are present in the scene, you will not be visible as the light falling on you is too less compared to the different light sources which are pointing directly towards the camera. 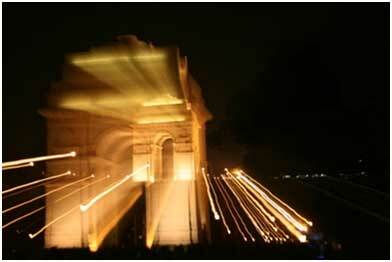 To know more about shutter speed and shooting techniques, Join online courses of Indian Institute of Photography.